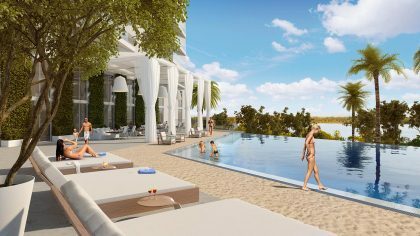 What will be the first luxury condominium built on Fort Lauderdale Beach in a decade will soon be under construction. 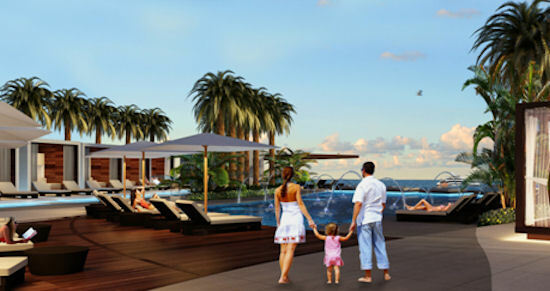 Paramount Fort Lauderdale Beach will rise on the site of the old Howard Johnson hotel, overlooking the beautiful landscaping of Bonnet House Museum & Gardens and the Atlantic shoreline. The condo development promises city living within walking distance of restaurants, shops, and entertainment combined with a beachfront lifestyle. Standing 18 stories high in a rounded tower that maximizes direct ocean views, Paramount will consist of only 95 residences providing both exclusivity and unparalleled luxury oceanfront living. Concierge services will be offered by Paramount Attaché, offering assistance with dining, nightlife and sports reservations as well as home services. Art Falcone and Nitin Motwani, the visionaries behind the 30-acre mixed use Miami Worldcenter in Downtown Miami, are developing the property with longtime Florida developer Daniel Kodsi. 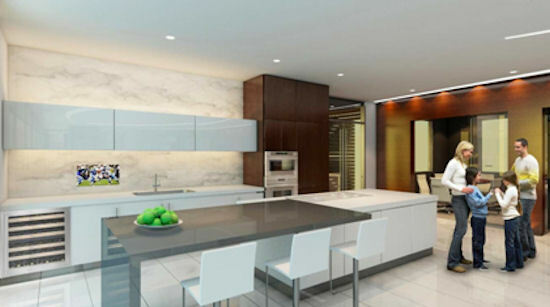 The architect is Revuelta Architecture International, one of Miami’s most renowned architectural firms creating masterpieces like the Epic, the Mint and Jade Residences at Brickell Bay, all in downtown Miami. Finally, ID & Design International, recognized as a world leader in the design industry, will be handling interior design of the common areas. The location of Paramount is close to Ft. Lauderdale’s vibrant cultural and arts district, galleries, fine arts museums and performing arts venues. Shopping and entertainment opportunities abound: upscale boutiques, restaurants, lounges, movie theaters and the famed Las Olas Boulevard. Numerous high-end and outlet malls nearby. The area’s biggest attraction, however, is its 23 miles of golden beaches with exceptional deep sea fishing, yachting, snorkeling and diving. It is also near Port Everglades, one of the top three cruise ship ports in the world. 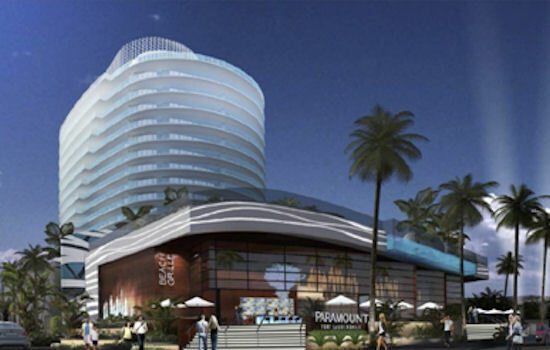 Plans are to break ground on Paramount Fort Lauderdale Beach in September 2014 and to complete construction by spring 2016. 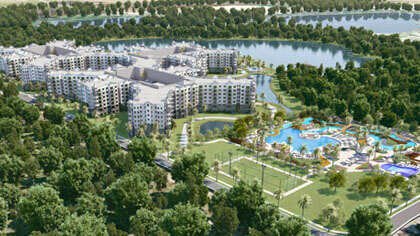 The residences can be reserved now at pre-construction prices. They include one-, two- and three bedroom condos. There are also several tri- level townhomes with rooftop terraces on the west side of the property that have not yet been released. 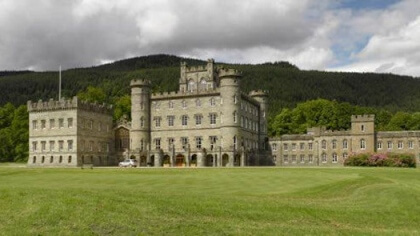 Prices start at $1,000,000 and go up to $2,582,000+. If you are interested in learning more about Paramount Fort Lauderdale, please feel free to request our detailed data sheet. We will respond within 24 hours (usually much sooner). Contact Joel Greene at Joel@CondoHotelCenter.com or call (954) 450-1929.